4K Ultra HD resolution has been around for a while now, but with more and more 4K content readily available in the form of streaming content, Blu-ray movies and even video games, it’s essential you update your home theater’s components to ones that support 4K resolution. If your home theater space is in a multi-purpose area of your home or is on the smaller side, a high-end 4K UHD television might be the perfect choice for you and your family. Sony 4K TVs offer a brighter picture with better contrast that makes every scene more realistic compared to a real-life image. You can experience any type of media – a film, TV show, sports game, or video game – with more detail and in more natural colors. Each 4K HDR TV also has a Backlight Master Drive™ that enrichens an image’s blacks and brightens the lighter colors – delivering a remarkable display. Samsung 4K TVs also offer a more realistic picture with a vibrant spectrum of colors. These TVs have a PurColor™ color range that creates an unparalleled, brilliant image for every scene, and a Motion Rate of 120 - meaning every action and movement will appear fluid without any snags or glitches. We also recommend Samsung’s line of 4K QLED TVs that also feature a built-in ambient mode, which is perfect for hybrid media room settings. When you aren’t watching anything on-screen, instead of staring at a lifeless screen, your TV can display a piece of artwork that blends into your home’s interior design. Meanwhile, From LG, their 4K UHD Smart LED and OLED TVs have an AI called ThinQ® with Google Assistant built in. You won’t have to move from the comfy couch or take your layers of warm blankets off to make adjustments on the TV – now your voice has all the control over changes and any questions you have. If you want to go for a more traditional home theater setup that feels a lot like your local cinema down the road – without having to get out in the cold and go to it – you can achieve that with 4K projectors and projection screens. The Epson 4K Pro-UHD projector offers a display of vibrant brightness, brilliant colors, and incredible image detail. With its 4K pixel-shifting hardware controlling three separate HD LCD chips that parallel process up to 12 million pixels of information – the result is a type of 4K resolution and visuals that you can’t find anywhere else. Sony's 4K projectors, meanwhile, are compatible with IMAX Enhanced and Dolby media, so you can optimize your projection screen and watch your favorite blockbuster films and thrillers on a larger-than-life image display. After upgrading your screen, your custom home theater’s audio quality is the next priority for creating an ideal entertainment center in your home. And with Dolby Atmos-supported products and equipment such as Integra and Audio Control A/V receivers, you can take your audio above and beyond a standard surround sound system setup. These Dolby Atmos-compatible receivers bring a new level of luxury to your home cinema and viewing experience. When watching a movie or TV show that is produced with Dolby Atmos audio, your receiver will transmit sound to your speaker configuration in an object-based format. This makes movie-watching a genuinely three-dimensional experience with a recommended configuration of at least two overhead speakers in addition to a typical surround sound setup. This means there isn’t a single area of your home theater or media room that won’t get the same level of high-quality audio performance. As you stay warm under your blankets, you’ll still feel fully immersed in whatever is happening up on the screen with overhead sound that lets you hear every last action that could be going on above you in a scene. A surround sound setup with these products will take your home entertainment to the next level with top-quality audio – you’ll hear an amazing difference in the sound quality. From the details in a quiet movie scene to an intense and suspenseful fighting sequence, you’ll never miss a piece of dialogue or essential information again. 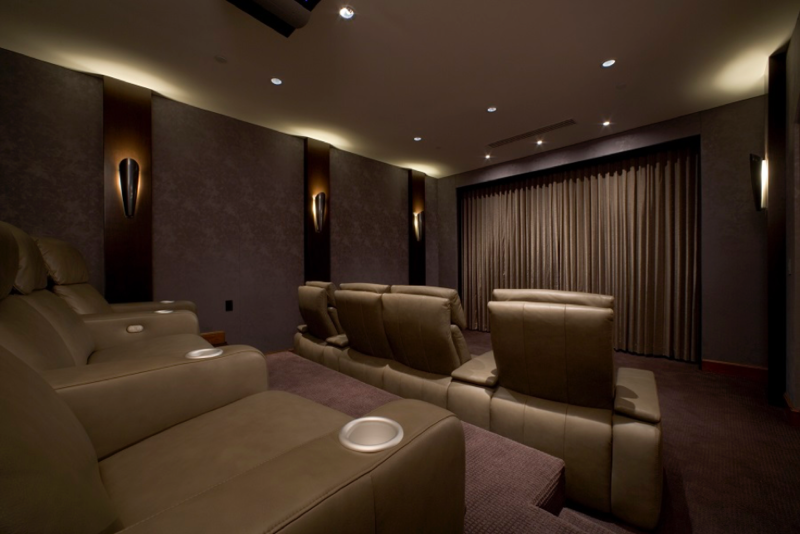 If you want to make the most of your custom home theater environment this winter, our team at Connect Consulting can help you upgrade your system with the above technologies – or others, such as Kaleidescape. Want to find out more about our services? Feel free to give us a call at 800-655-2520 or contact us here to schedule a no-obligation consultation with our team. We’d love to hear from you.